Known for its battles during the Civil War, the national historic park is believed to be haunted by ghosts of its past. Many apparitions have been seen here, including a well-dressed man in a brocade vest who glares in a hostile way. A woman and child believed to be the man’s wife and daughter also have been seen. Many other apparitions and phenomena have been reported here, including a whole phantom army that marches down the street. Private ghost tours are offered of the park. 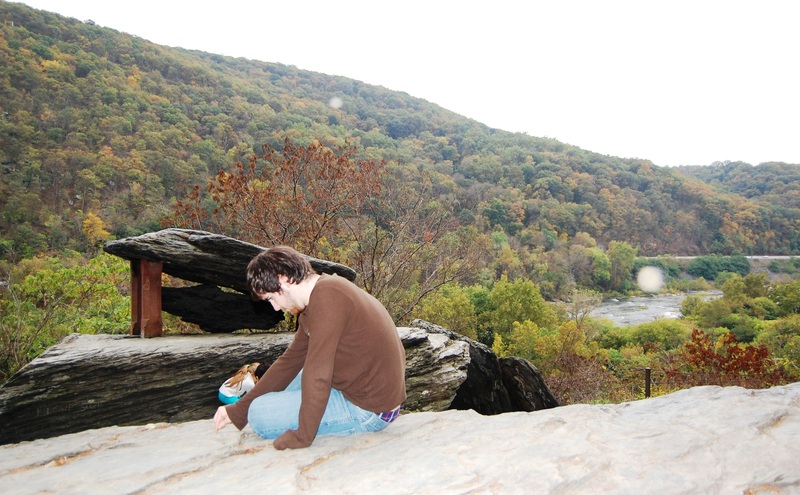 Here is the other photo from that Harpers Ferry trip that had orbs. This one was taken about 5 minutes before the one of my son. My mom and I about 5 years ago went to one of the houses, and we heard chains dragging across the upstairs floor. We both ran, but we went back to check and see what was up. Keep in mind, these rooms are for display only and visitors can only stand in the doorway and look through the glass. It was super freaky, But we always go back in the summertime and joke about it. During my recent visit to the White hall tavern in harpers ferry, I was leaning in over the doorway with my four year old daughter and heard distinct foot steps walking across the floor above me. I heard four steps. I began to share my experience with my husband and father-in-law, they immediately joked about it and then we all listened again and heard nothing further. I worked there back in the early 1980’s. Went to work one morning and when walking from the rear parking lot I was beside then the Park Rangers Hq.. While I was walking to t he Hq. I noticed one of the maintenance men was just standing in front of the public restroom and he looked really pale. He advised me to look up at the third floor window of the building that the restrooms where in and tell me what and if I saw anything. When I looked up, I asked him how did one of the interpreters get into that floor. There stood someone in period clothing looking out the window and no one was suppose the be on that floor. I immediately went in the Ranger Hq. picked up my keys and gear and went over to check the third floor, the image was gone when I looked up at the window. I went up the stairs to the only door to that floor, I opened the door, there was so much dust on the floor you could easily see footprints. There were no footprints in the dust leading to the window, there were several footprints by the window. I just looked the door up and left, I told the maintenance person that I never found anything.and didn’t tell him about the footsteps in front of the window and no where else in the room. 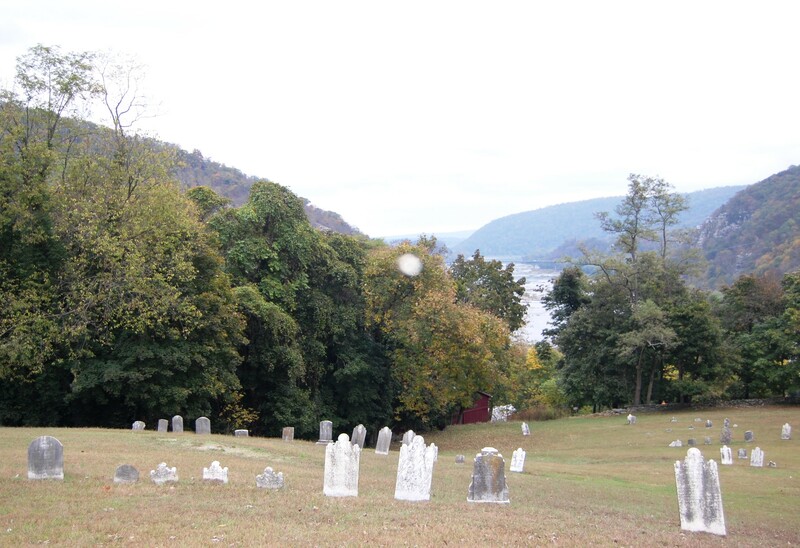 I visited Harpers Ferry about 1979 with my mom a friend of hers and my baby brother. I was about 10. There were no other people around and I asked my mom if I could go off to explore. I went to a small cabin that was now a museum the person working was about to close up. They let me look around a bit and then locked up and drove off. I began heading back to our pinic table. I walked through a thinly wooded area along the road. The place was deserted except us. I saw a man walking along up ahead of me. He was dressed in an old union uniform carrying a rifle. I tried to hide behind trees trying to get closer to get a good look. He then just disappeared. I looked in every direction but he was just gone. I ran all the way back to our car screaming and locked myself in the car until we left.